This Bavaria 37 is very special. The property of a professional mariner, she has been maintained meticulously. The moment you step aboard you just know this boat is special. The owners version has luxurious space with a full size navigation table, a saloon table easily seating 6, flanked by two armchair style seats. Full head height means that even the tallest crew will be comfortable. A well appointed Galley but the real bonus of the owners version is the shower room to the port quarter and a full double to the other. You can lift every board, the bilges gleam, and powered by Volvo, the MD 2030 . There are cockpit cushions that are brand new, still in the bag.....there is nothing to not like here. 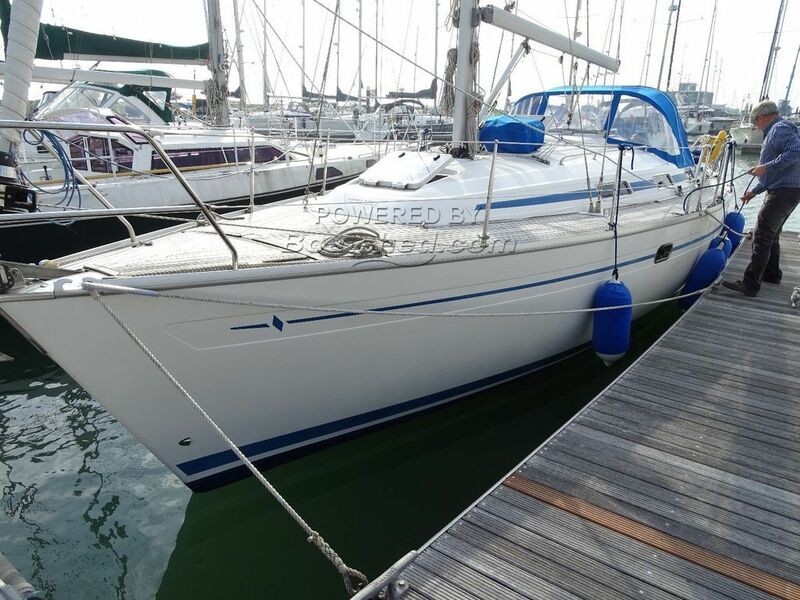 This Bavaria 37 Owner Version has been personally photographed and viewed by Philip Berkeley of Boatshed Suffolk. Click here for contact details.